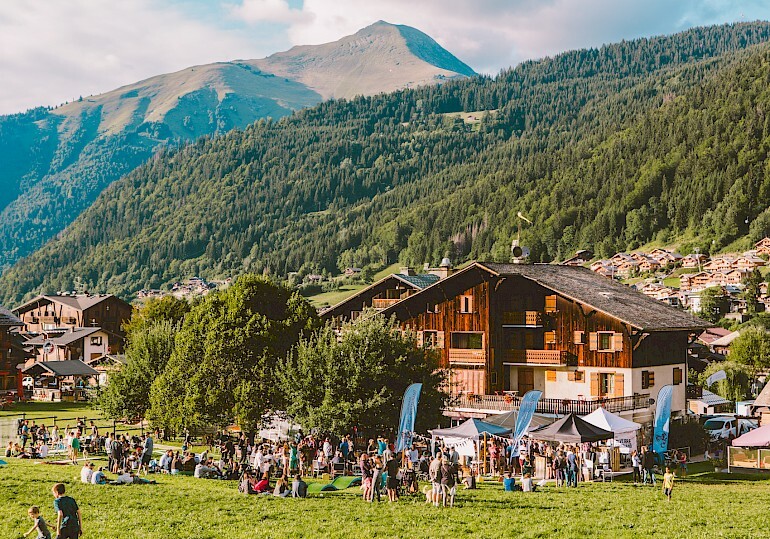 As September arrives in Morzine and the lifts close on what has been one of the best mountain bike seasons to date it’s given us an opportunity to reflect upon everything that made it so good. The Crankworx festival kick started the bike season in style this year and brought some of the world’s best mountain bike riders to the area for a spectacle like no other. 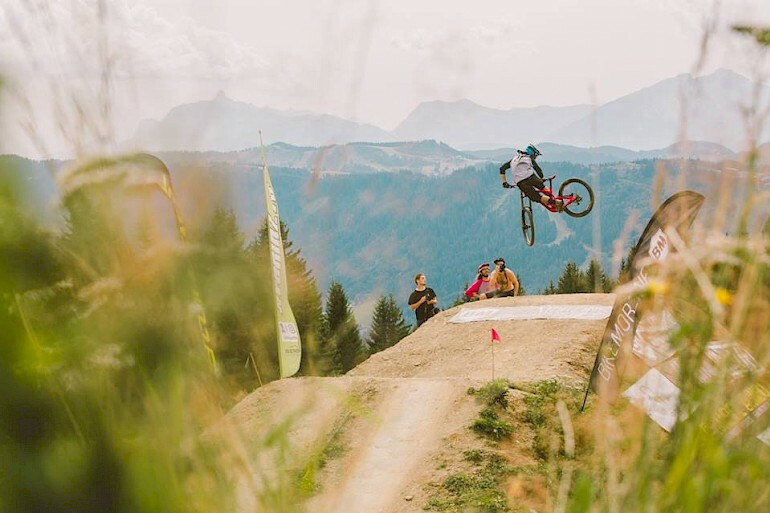 The event in early June showcases the best in downhill, freeride and dual slalom mountain biking and the riders go head to head across multiple disciplines in a fight to become the king or queen of Crankworx. There was also one hell of an after party so the event left our guests both inspired and many a little squiffy headed. Swiftly pursuing Crankworx was the Passportes du Soleil festival which officially declared the whole bike area open for the season. Thousands of mountain bikers from across the globe descended on the area to tackle the 80km route. This year saw the first e-bike specific route which made the gruelling course somewhat more manageable for those embracing the new technology. E-bikes were a common site this year and one we think we will see a lot more of in the coming years. When you take into account the extensive trail network, the largest in Europe, there is no better place to extend your range with an electronically power assisted bike. A new race track was built on le Pleney for the French National championships which took place on a wet and wild weekend in late July. Many of the top riders in this year’s world cup series are French meaning the competition was intense for the national jersey. The weather played a massive part in the results with the riders who qualified slowest getting the fastest track conditions in the rain before it started to dry and the mud became heavy and slow for the top qualifiers. Gaetan Vigé subsequently took the top spot and the tricolor sleeve as the big guns failed to beat his run in the gloopy mud. Bi-weekly mates races, girls rides, our famous bring your own meat bbq’s, chicken nugget parties and our annual cider and sausage festival made for an unforgettable summer at the Aubergade and we’re already making plans to make next summer even bigger and better. Unfortunately next summer will be the hotels last but we have a very exciting winter to get through first so our attentions are now turning towards the colder climate and how we can make the final winter at the hotel the best one ever. Previous: There are many more reasons than a white Christmas to come to Morzine for the festive season. Next: After a busy year we make some changes and refocus on why we started the company.